Expect added signs, more visible, in more places and in multiple languages, in wake of last summer’s deadly ice fall. 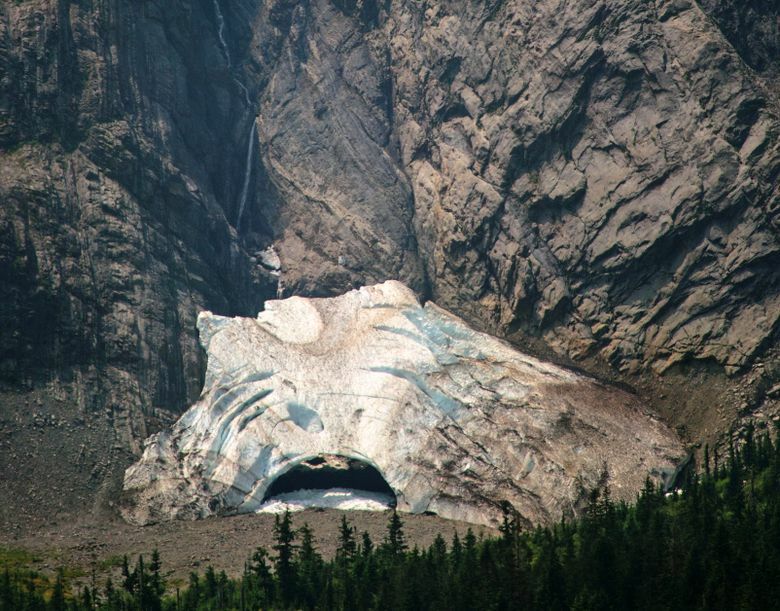 VERLOT — The U.S. Forest Service says it will reopen the trail leading to the Big Four Ice Caves this spring, adding new warning signs. The trail has been closed since July 6, when rock and ice fell and killed 34-year-old Annalisa Santana, of California. Five other people were injured, including her brother, a Lynnwood resident who died of his injuries in October. Additional warning signs about the caves’ danger will be posted near the caves and, new this year, along the trail. The Forest Service’s Gary Paull says the signs will include languages besides English and will stand out more. The snow and ice formation about 70 miles northeast of Seattle is the most popular hiking attraction in the Mount Baker-Snoqualmie National Forest, attracting thousands of visitors each year. But the caves can be dangerous. Collapsing ice has killed four people at the site since 1998.